These are the best deals I see for the week of 2/24 – 3/2. This post is just a highlight- you can check out my weekly ad page HERE for links to the ad scan and the ad typed up with coupon matchups. You can also check out the Special Deals Page for more unadvertised offers. –50¢ ON TWO BOXES Fiber One Chewy Bars, Fiber One 90 Calorie Products ..
–$1.00 on ONE (1) 64 oz. Bottle of Ocean Spray Pink Cranberry Juice Cocktail. 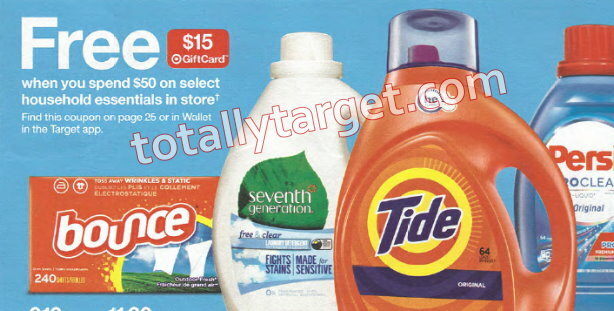 This week we have a nice in-ad Target coupon for a FREE $15 Gift Card wyb $50+ Household Essentials (valid 2/24 – 3/9). It is valid on Laundry Care, Household Paper Products, Household Cleaners & Tools, Dish Care, Disposable Food Storage, Trash Bags, Air Fresheners and Pest Control. There will be so many ways to mix and match to meet the spending requirement, but here’s one idea for you…. 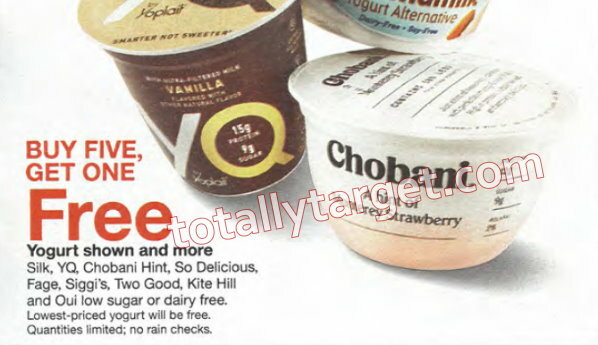 here’s some other items featured in the ad that will count towards the spending requirement for the Target coupon…. 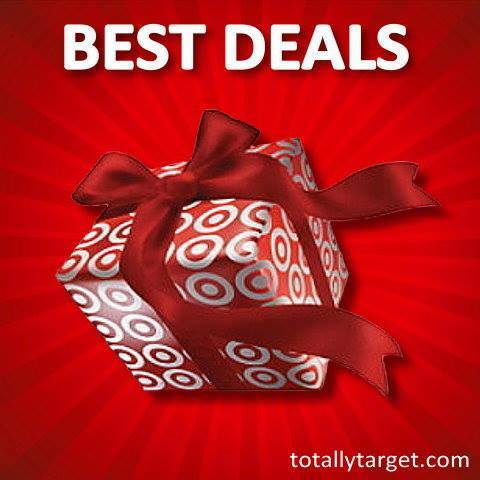 We also have an in-ad Target coupon this week for a FREE $5 Gift Card wyb $25+ Health Care valid 2/24 – 3/2. It is valid on Eye Care, First Aid, Pain Relief, Cough & Cold, Allergy Relief, Family Planning, Digestive Health, Smoking Cessation, Nutrition & Vitamins, Feminine & Adult Care, Foot Care & Diabetes. You can mix & match how you wish, but here’s a few ideas for you…. In addition, we have another in-ad Target coupon for a FREE $20 Gift Card wyb select Baby Dept Purchase $100+ valid 2/24 – 3/2. It will be valid on Wipes, Diapers & Training Pants, Infant Formula, Baby Food, Baby Toiletries, Bottles (excl. Philips Avent). While there will be tons of ways to mix & match to make a deal, here’s one idea for you…. 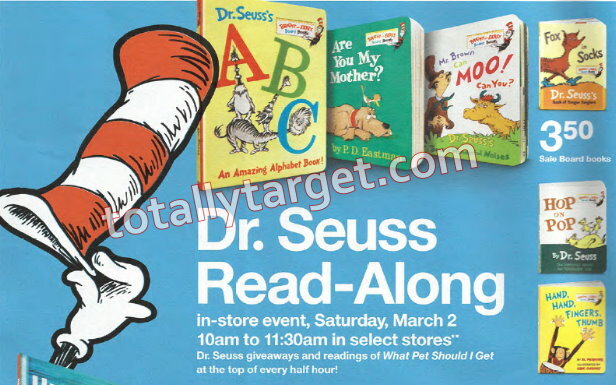 On Saturday, March 2 from 10am – 11:30 am, Target will be having it’s Annual Dr. Seuss In-Store Hats Off to Reading Event in celebration of Dr. Seuss’ Birthday. Kids can enjoy story time with a readings of What Pet Should I Get every half hour, plus there will be giveaways and fun events. You can go HERE for more deets on this event and find a participating store near you. In addition, this week most Dr. Seuss Books will be on Sale with PSA $3.50. –$1 Off when you buy ONE Nutella Hazelnut spread 13 oz Jar. (if new to Fetch – enter code VP5JJ before uploading receipt for an extra 2k points..